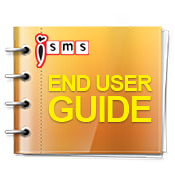 iSMS Malaysia - Online SMS Marketing End User Guide Generate SMS Report. Lowest price & most reliable Bulk SMS marketing tool. 2 way sms Malaysia, Bulk SMS, bulk sms Malaysia, bulk sms Singapore, online sms solution, web sms marketing. Login iSMS Member panel and go to the top menu. Select SMS > SMS History. 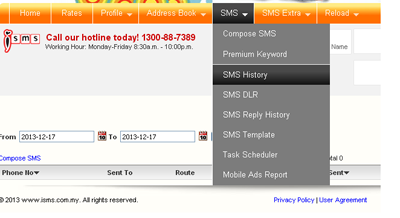 To search sms history from date to date and able export sms history to Excel. Show how many credits you use for this transaction. The date which sms is sent. Please contact us HERE, if you have any enquiries or looking for any consultation. Note to registered users: Please include your Username in the email. © 2019 Mobiweb Sdn Bhd.